The good folks at Dublin Pride have just announced the Pride Parade route for 2019. News 5 April, 2019 . Written by Katie Donohoe. Dublin Pride this morning announced the proposed parade route for the 2019 Dublin LGBTQ Pride Parade and March will see us return to the very heart of our city. Assembling on O’Connell Street and Parnell Square on Saturday, June 29, 7,000 people from over 150 different groups with floats, marching bands, colourful costumes and lots and lots of noise will lead out the Parade. 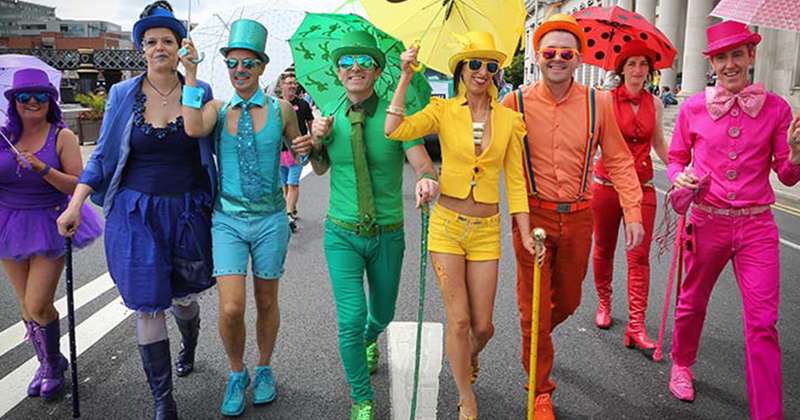 In addition to the Parade and Dublin Pride Village in Merrion Square, Collins Barracks will host the most colourful event in its 300-year history as the site for the Mother Pride Block Party. Last month, Mother announced an incredible line-up. Headlining this year will be Danish pop superstar MØ. Joining MØ will be the amazing Pillow Queens, Daithi, Panti Bliss, Bunny, Paul Ryder, Sing Along Social, Mother DJs, Kate Brennan Harding, Kelly-Anne Byrne, Claire Beck and Conor Behan will be representing on the decks. The Dublin LGBTQ Pride Parade is a free public event supported by Dublin City Council. 5 April, 2019 . Written by Katie Donohoe.